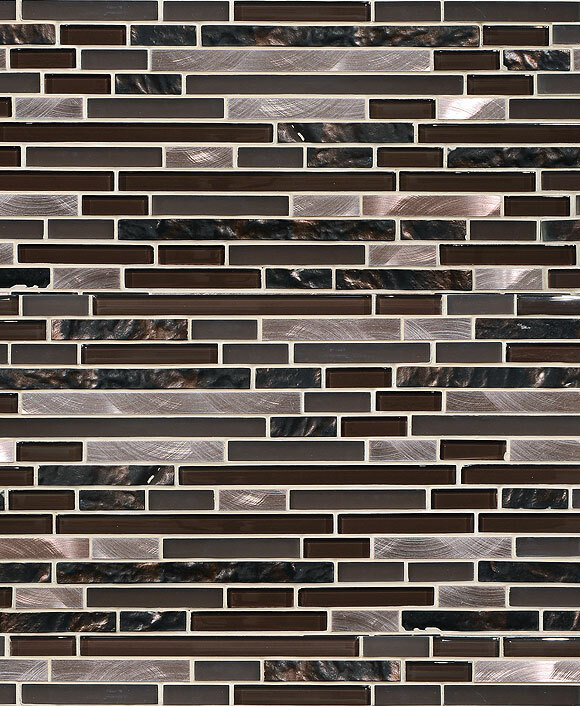 Brown glass and marble stone mixed with metal backsplash tile. 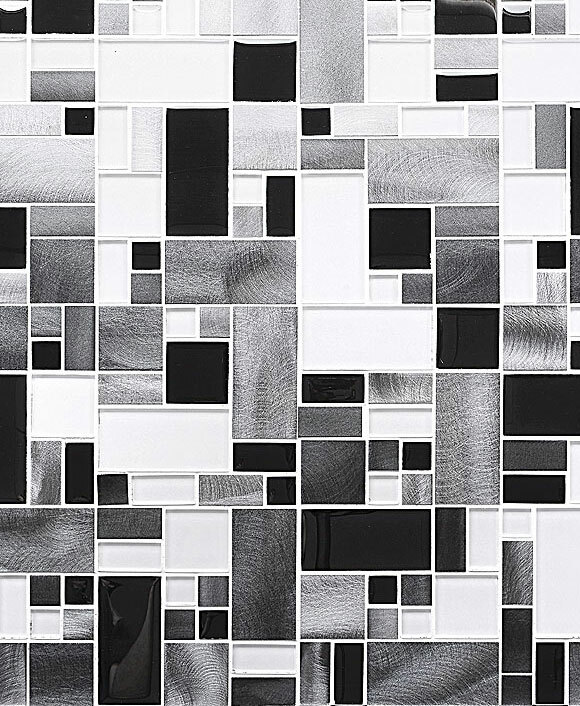 Modern kitchen backsplash mosaic tile. 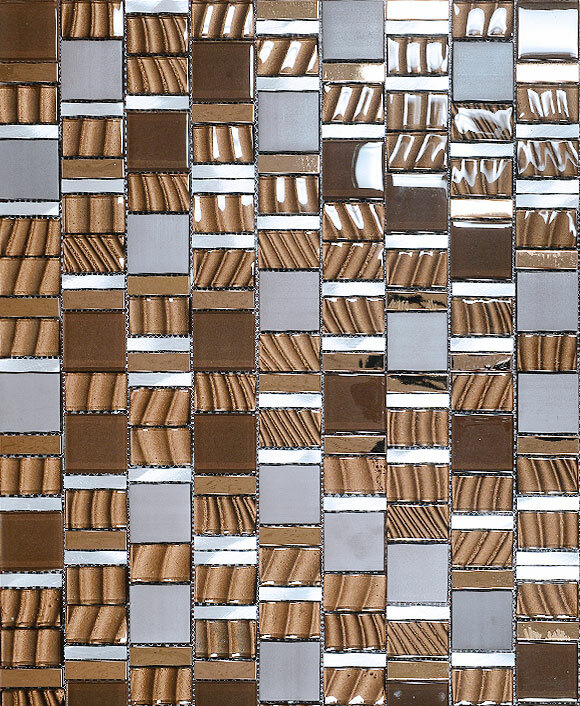 Brown cabinet with brown glass metal marble tile. 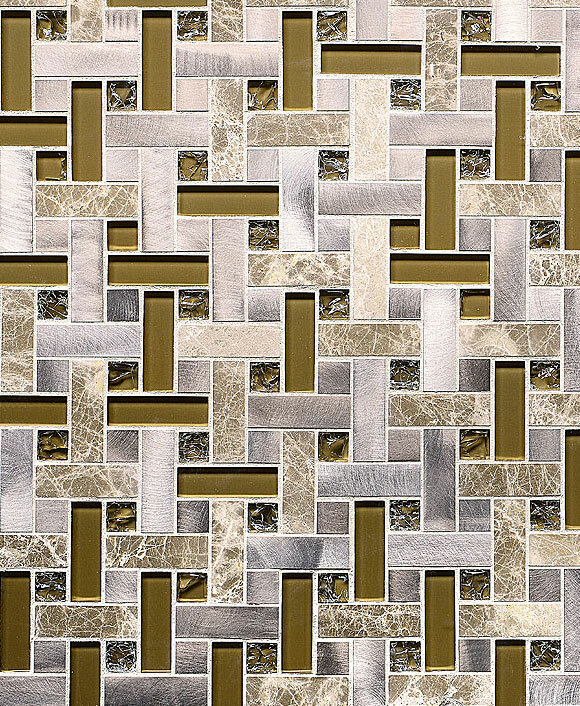 This entry was posted in BROWN, GLASS, GLOSSY, MARBLE, MARBLE & GLASS, MODERN, MOSAIC. Bookmark the permalink.